Flexible compression options: The data can be compressed with any of several codecs. Different data files can be compressed differently. The compression is transparent to applications that read the data files. Innovative encoding schemes: Sequences of identical, similar, or related data values can be represented in ways that save disk space and memory, yet require little effort to decode. The encoding schemes provide an extra level of space savings beyond the overall compression for each data file. Large file size: The layout of Parquet data files is optimized for queries that process large volumes of data, with individual files in the multi-megabyte or even gigabyte range. Impala can create Parquet tables, insert data into them, convert data from other file formats to Parquet, and then perform SQL queries on the resulting data files. Parquet tables created by Impala can be accessed by Apache Hive, and vice versa. That said, the CDH software stack lets you use the tool of your choice with the Parquet file format, for each phase of data processing. For example, you can read and write Parquet files using Apache Pig and MapReduce jobs. You can convert, transform, and query Parquet tables through Impala and Hive. And you can interchange data files between all of those components — including ones external to CDH, such as Cascading and Apache Tajo. In this blog post, you will learn the most important principles involved. Once you create a Parquet table this way in Impala, you can query it or insert into it through either Impala or Apache Hive. Remember that Parquet format is optimized for working with large data files, typically 1GB each. Avoid using the INSERT ... VALUES syntax, or partitioning the table at too granular a level, if that would produce a large number of small files that cannot take advantage of the Parquet optimizations for large data chunks. Inserting data into a partitioned Impala table can be a memory-intensive operation, because each data file requires a 1GB memory buffer to hold the data before being written. Such inserts can also exceed HDFS limits on simultaneous open files, because each node could potentially write to a separate data file for each partition, all at the same time. Consider splitting up such insert operations into one INSERT statement per partition. For complete instructions and examples, see the Parquet section in the Impala documentation. Note: Once you create a Parquet table this way in Hive, you can query it or insert into it through either Impala or Hive. Before the first time you access a newly created Hive table through Impala, issue a one-time INVALIDATE METADATA statement in the impala-shell interpreter to make Impala aware of the new table. To populate the table with an INSERT statement, and to read the table with a SELECT statement, see the Impala documentation for Parquet. Impala has included Parquet support from the beginning, using its own high-performance code written in C++ to read and write the Parquet files. The Parquet JARs for use with Hive, Pig, and MapReduce are available with CDH 4.5 and higher. Using the Java-based Parquet implementation on a CDH release prior to CDH 4.5 is not supported. 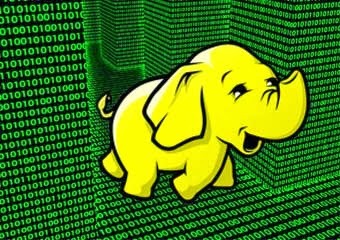 A Parquet file written by Hive, Impala, Pig, or MapReduce can be read by any of the others. Different defaults for file and block sizes, compression and encoding settings, and so on might cause performance differences depending on which component writes or reads the data files. For example, Impala typically sets the HDFS block size to 1GB and divides the data files into 1GB chunks, so that each I/O request reads an entire data file. The TIMESTAMP data type in Parquet files is not supported in Hive, Pig, or MapReduce in CDH 4. Attempting to read a Parquet table created with Impala that includes a TIMESTAMP column will fail. At the time of writing, Parquet had not been tested with HCatalog. Without HCatalog, Pig cannot correctly read dynamically partitioned tables; that is true for all file formats. Currently, Impala does not support table columns using nested data types or composite data types such as maps, structs, or arrays. Any Parquet data files that include such types cannot be queried through Impala. The TestReadParquet.java example demonstrates the “identity” transform. It reads any Parquet data file and writes a new file with exactly the same content. The TestReadWriteParquet.java example reads a Parquet data file, and produces a new text file in CSV format with the same content.